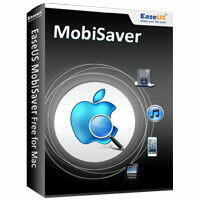 EaseUS MobiSaver for Mac is an iPhone, iPad and iPod Touch data recovery tool for Mac. This iPhone data recovery tool works on most common data lost situations: accidentally delete data, iPhone damaged and iPhone get lost and also can recover photos & videos, contacts, SMS, call logs, memos, etc. It offers 2 types of recovery mode: directly recover data from the iOS device and retrieve previous data by extracting it from iTunes backup. If you need more information please contact the developers of EaseUS MobiSaver for Mac (EaseUS), or check out their product website.